Like it or not, Baptiste — Overwatch’s newest support hero — won’t drastically change the popularity of the GOATS, or 3-3, meta that you see so often in the Overwatch League when he arrives in Stage 2. And there are a few reasons for this. GOATS, or 3-3, is a six-player team composition made up of three high health tanks and three mostly AOE-based healers. It’s a set of heroes that passively enable each other and have the health to withstand drawn-out team fights until they’ve charged up their Ultimates. In a pretty even match-up of GOATS, nothing dies outside of those Ultimates. Game theory helps us understand why GOATS is prominent and almost always played by both teams. In the average game, there’s the possibility that a good esports player could pop-off and headshot kill three enemies as Widowmaker — who doesn’t fit into a GOATS comp — to win a fight. But instead of relying on the skill (and sometimes luck) of your own Widowmaker out-sniping the enemy, it’s easier to play a hero like D.Va that has a ton of health and can’t be killed with a single headshot. 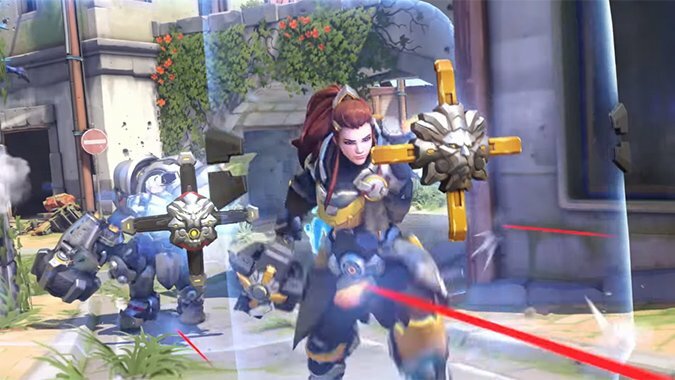 Because it’s the job of an esports team to win — and knowing the rock-paper-scissors dynamics of team compositions in Overwatch — the enemy Widowmaker would be better off playing a Tank themselves. And if your enemy is playing high-survivability tanks that Widowmaker won’t be able to take out, there’s not much reason for you to play Widowmaker, either. This is even more important on map types like Control Point. If you don’t get the first kill and cap the point first, you have a severe risk of losing the entire round as the enemy team snowballs you with careful Ultimate usage. The answer to good Ultimate usage is to secure introductory kills — but if you’re playing against Tanks with huge health pools and barrier shields, that’s virtually impossible. Thus, you have the reason why few teams risk not playing GOATS from the start. Having that much survivability can be the difference between a win and a loss. Baptiste will suffer the same problems against GOATS. He offers high-damage output, temporary invulnerability, and huge damage amplification for his teammates. To prevent an enemy Baptiste from killing you — and hopefully survive his 50 percent damage boost — you need to Tank up and grab your nearest Zenyatta and Lucio for their powerful, death-defying Ultimate heals. In esports, the stakes are high, and there’s no reason to play a team composition that relies on masterfully good aim and clutch timing. That’s why GOATS exists, and it’s why Triple Tank existed before it. Unfortunately, due to the fundamental design of Overwatch’s three roles, there’s no escaping Tanks and Support as the most efficient way to play the game. Various buffs to heroes like Reaper and Ashe and Doomfist miss the point of why GOATS exists. 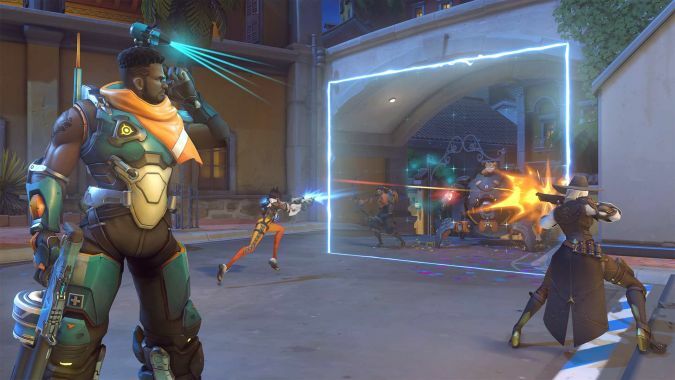 The comp nullifies the threat of individual-skill-based eliminations and amplifies strategic, team-based plays — usually via combined Ultimates. All of that said, we’re starting to reach a tipping point where Tanks and Supports are so weak to Damage heroes that there could — eventually — be no point to playing GOATS. But that would take more significant nerfs to heroes like Zarya and Reinhardt. For now, this is the way the game works at the highest levels of play, and it’s a natural conclusion to the game ratcheting up the amount of damage output from its Tank and Support heroes. Will GOATS disappear in Grand Master and Top 500 Competitive games? It probably will because everyone in those upper ranks are tired of it and heroes like Doomfist and McCree are starting to become relevant again. In Competitive games, players don’t have a fraction of the teamwork and strategy that esports teams do, so you can often play heroes that punish that lack of coordination. But don’t forget that metas can shift simply on player attitude and as we learned above, GOATS exists because of the suggestion that the enemy will play it. So, if both teams come out with a normal 2-2-2 composition, it’s unlikely any of those players will want to swap to GOATS. The same goes for Overwatch League teams, but the stakes are much higher than losing some Skill Rating. These teams have been practicing GOATS for several hours a day with the goal of winning and getting paid tons of money. It’s going to take a lot for them to play something untested without knowing for sure the opposing team isn’t playing GOATS. At best, we’ll start seeing fewer GOATS comps, but it’ll be a while before it completely goes away.